From pubs and hotels to care homes and offices, every day over 5,000 UK businesses rely on Sky for Business to attract and entertain their customers. Sky had collected a wealth of data about their varied customer base, but this data got lost in countless spreadsheets and reports that no longer expressed the 'why' behind each metric. 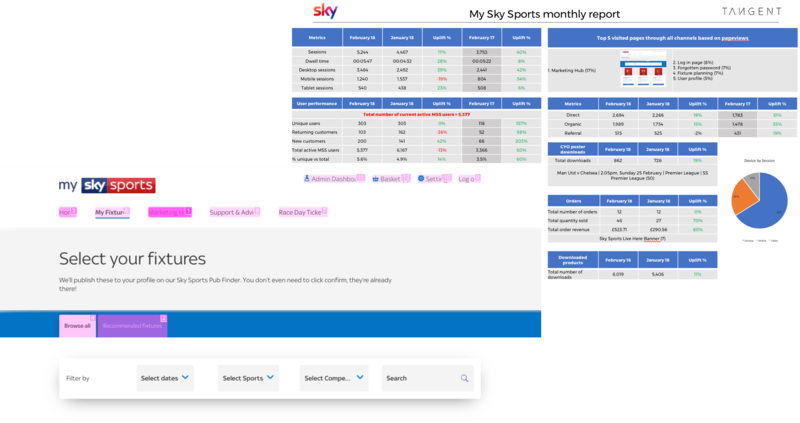 Sky for Business approached Tangent with a three-month challenge: help us make better use of data across our three online estates. Our first step was to host an exploratory workshop with key stakeholders within the business, helping us understand the vision behind each site, overall business objectives, and how a revised, insight-led reporting structure could best track performance. By clarifying each site’s distinct and important role, our team were able to audit the existing analytics set-up to identify key journeys and sticking points for users, and remove erroneous data from bots, referrals, blocked IP addresses and GTM links. 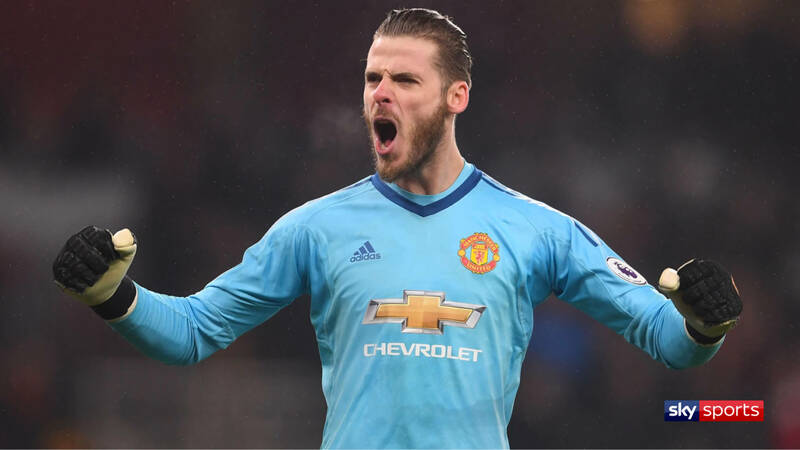 With clean data and a refreshed goal-orientated tracking platform in place, we drew from sources including Google Analytics, Decibel Insight and EyeQuant to create a succint monthly reporting template. 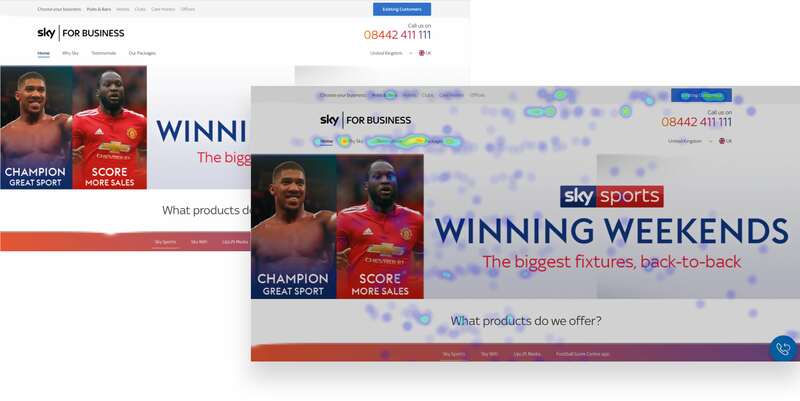 Armed with this insight, both we and the client can now understand not only how but why each site users behave as they do, highlighting opportunities for A/B tests and further optimisation activities in line with Sky for Business' overall objectives.